Donovan Mitchell had still been kneading the sleep out of his eyes during the first week of his sophomore season. 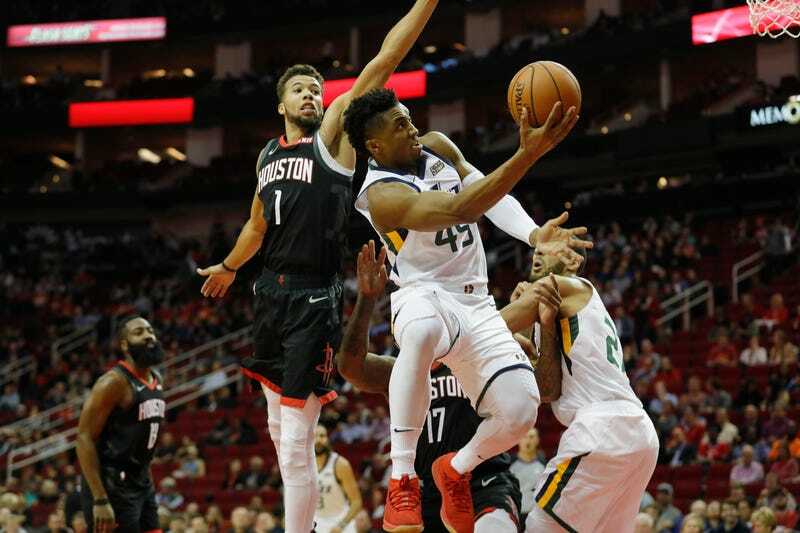 Coming into last night’s game against the Rockets, he’d been unable to get any offense going—not from any region of the court, not off-the-dribble, not catch-and-shoot, not getting to the free throw line. 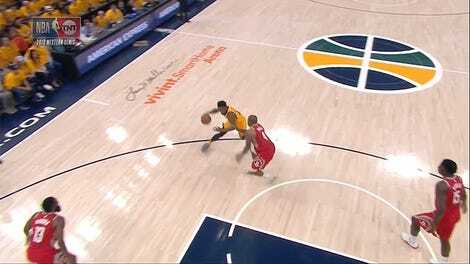 Through three games Mitchell had shot 34 percent from the field, struggling both from within 10 feet (40 percent) and from deep (28 percent), and had begun flashing some mildly concerning gunner tendencies within the confines of Utah’s equitable offense. In the final Jazz possession of a very winnable game against the Warriors last Friday, Mitchell waved off Ricky Rubio, only to heave a heavily contested brick and open the door for Dubs forward Jonas Jerebko to tip in the buzzer-beater. The next game, a loss to the Grizzlies, Mitchell had another icy shooting night to go with six turnovers. He was forcing it. This was understandable for a young player a little overeager to pick up exactly where he off last year: a rookie leading his team in scoring in the playoffs. “I was in my head,” Mitchell told ESPN. Mitchell’s first good game of the season was a reminder of what a smooth, multi-faceted shooter and finisher he can be. The result was also a cautionary tale for this 1-3 Rockets team that will once again need to rely heavily on 33-year-old Chris Paul, who missed this one due to his reaction to Rajon Rondo’s saliva.